With the Christmas season just around the corner, we are anticipating the Natchitoches Historic Foundation’s annual Christmas Tour of Homes again this year. We invite you to an event where holiday joy inhabits every dwelling in this year’s schedule. 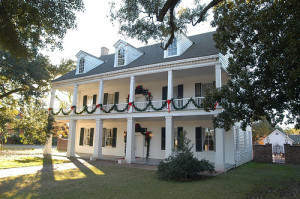 Visit Natchitoches and tour uniquely decorated homes on December 10th, 12th, and 13th and December 17th, 19th, and 20th during the 2014 Natchitoches Christmas season. Proceeds from this tour benefit the preservation and restoration of cultural resources in Natchitoches. This event, consisting of three separate tours, will feature homes beautifully decorated for the Christmas season. What makes the Christmas by Candlelight tours unique? It is the people who inhabit these dwellings. Each has an appreciation for the history that has influenced their homes. Please come and enjoy the architecture, stories, and the ambiance of a town that enjoys celebrating and sharing the joy of the holidays with others. 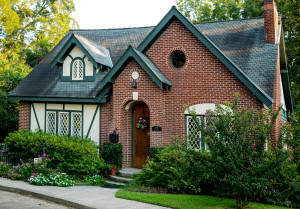 Wed, December 10th & Wednesday, December 17th Tour Package, 5-8 p.m.
One of Natchitoches’ most well executed Tudor revival (Norman) cottages, during the Christmas season, Cunningham Cottage is decorated with more than 100 nutcrackers collected over the years, representing a variety of literary, classical musical, professional, and trades characters. A German pyramid complete with candles and revolving nativity scene is traditionally on the dining table. This Save America’s Treasures property, circa 1790, is the only known two and one-half story bousillage structure on the North American continent. Owned and operated by the Service League of Natchitoches, Inc., the house went through an extensive restoration in 2005. League members take pride in its period décor and decorations appropriate for the Christmas season in the City of Lights. Used as the Service League headquarters, Prudhomme Rouquier is available for rental throughout the year as well as during the holiday season. 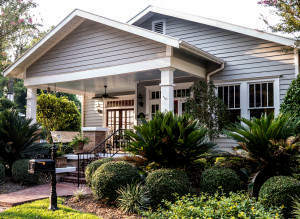 Constructed in 1920, this California bungalow style home was built for J.D. and Pearl Rusca who resided there with their four children until J.D.’s death in December of 1968. The Rusca House was completely restored to its original beauty in 2001 and contains the original heart of pine floors, fireplace mantle, moldings, and butler’s pantry. It is decorated in traditional Christmas themes and features one of the most formal gardens in the Historic District. The home operates as a bed and breakfast. 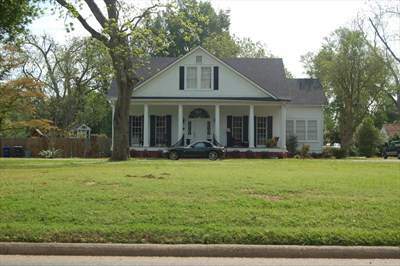 Built in 1850 by Samuel Eldridge Guy, this Greek revival style house remained in the Guy family for more than 150 years before being moved by its current owner from Mansfield to Natchitoches in 2002. Known for its ornate collection displays and elaborate Christmas decorations, the Samuel Guy House operates as a bed and breakfast. Friday, December 12th & Friday, December 19th Tour Package, 5-8 p.m. 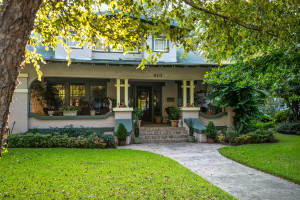 This 1920s Arts and Crafts bungalow, is adorned with festive, seasonal decorations in the parlor, sitting room, dining room, and library, where a nine foot tree, ablaze with lights, serves as the focal point. Candles throughout Chez des Amis add to celebrating the Holiday season during the Natchitoches Festival of Lights. 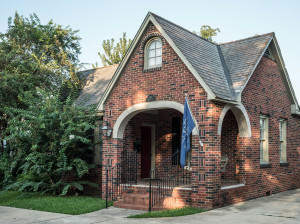 A Sears, Roebuck kit house built in 1939 and embellished with brick and other amenities during its completion, Doris Emma’s bungalow retains the original kitchen, but was expanded to include a bedroom suite and sunroom in a 2005 renovation. Overlooking beautiful Cane River and the Christmas decorations along its banks, the cottage is noted for its collection of nut crackers and light displays during the Christmas season. This 1920s commercial building was completely renovated in 2014 and converted into a residential condominium. Balconies in the front and rear were added, as well as a courtyard and separate kitchen. Architectural details of the period and antiques appropriate to the era grace the structure. Christmas decorations feature a Coca-Cola theme, the longtime business of the Cook & Taylor families in Natchitoches. Saturday, December 13th & Saturday, December 20th Tour Package, 1-4 p.m. 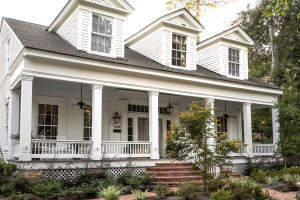 This magnificent home was constructed in 1850 of heart of pine and virgin cypress. Listed on the National Register of Historic Places, it is a rare example of Colonial Revival architecture. A temple front façade of six Tuscan columns enclose the wide front gallery with tall six-over-six windows of original hand blown glass. The home was renovated in 2010, and is adorned during the Christmas season with period appropriate decorations throughout the interior and exterior of the house. Named “House of the Forest” and constructed in 2005, the house is situated on seven acres along Cane River featuring spectacular views of the water. 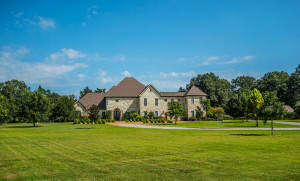 Included in its 9,000 square feet are soaring ceilings and unique architectural accents which depict Old World charm and special touches of Louisiana style. Decorations for the Christmas season include massive trees throughout the house, as well as holiday displays especially meaningful to the owner. 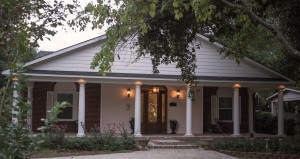 Built by Master Carpenter Lamar Dearing in the 1930s, the house has undergone two remodeling projects; the first, focusing on the interior in 2007, and the most recent, a two year exterior remodeling/additions in 2012-2013. The house contains the original moldings and hardwood floors. Antique Austrian brass and crystal chandeliers grace the first floor main rooms. During the Christmas season, a beautiful Fontanini crèche is among the elaborate holiday decorations. 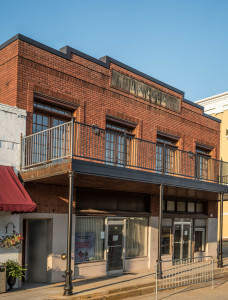 For ticket information please click here to visit the Natchitoches Historic Foundation. **Saturday ticket holders for the Natchitoches Christmas Tour of Homes will also be given complimentary admission to the Louisiana Sports Hall of Fame.